"We knew that the brain has an amazing ability to adapt itself, but we were not sure that we could observe these changes so quickly. Understanding of how we can impact on brain wiring and functioning is the key to treat neurological disorders," says Theo Marins, a biomedical scientist from IDOR and the Ph.D. responsible for the study. The results show that the corpus callosum—the major cerebral bridge that connects the right and left hemispheres—exhibited increased integrity, and the neural network controlling the movements of the body became strengthened. It seems that the whole system became more robust. 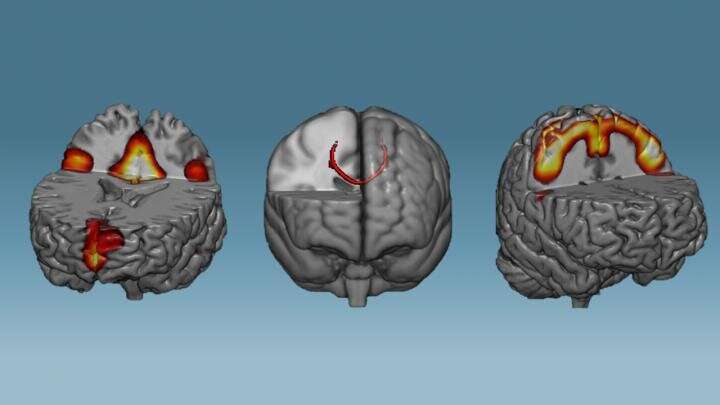 Likewise, the training also had a positive impact on the default mode network, a brain network which is impaired after stroke, Parkinson's and depression, for example. These changes were not observed in the control group. "We showed that the neurofeedback can be considered a powerful tool to induce brain changes at record speed. Now, our goal is to develop new studies to test whether patients with neurological disorders can also benefit from it," concludes Fernanda Tovar Moll, president of IDOR and leader of the study.